India had always a need for long-range cruise missiles for attacking strategic and tactical targets.But India has no options rather than to develop its completely indigenous cruise missile because of missile technology control regime treaty signed by Russia also known as MTCR.MTCR blocked India from getting technologies for its long-range version of Brahmos missile from Russia.The result of these events was the development of Indian long-range subsonic cruise missile named as Nirbahay (meaning fearless).Nirbhay is being developed as all weather multiple platforms launched cruise missile.It will see service in the Indian army, air force and navy in near future.there is a plan for the development of land attack version launched from aircraft also known as (ALCM), seaborne and surface launched.DRDO which is responsible for developing this missile is also planning to develop a long-range anti-ship version of the missile with the ability to be launched from aircraft, coastal launchers and ship. Nirbhay will weight around a ton with its solid stage booster.it will be high subsonic all the path, unlike Brahmos which is supersonic all the way.Nirbhay is powered by a small turbofan engine and for initial take off it uses solid stage booster.it will have better range compared to that of the Brahmos thanks to its turbofan engines, which consumes very less fuel compared to ramjet engines.turbofan consumes a far less fuel compared to rocket engine which is conventionally used on many of the cruise missile around the world.Mid course guidance of the missile will be provided by indigenous Ring Laser Gyro Scope (RINS), which is very accurate and can work as a stand-alone guidance systems or in conjugation with satellite navigation system in hybrid configuration.The inertial navigation system of Nirbhay operates in hybrid mode for better accuracy.Nirbhay will be provided with terrain hugging navigation system which uses TERCOM.TERCOM is in development and will be tested soon by drdo, TERCOM stands for terrain countermeasures.In future, it may be equipped with a terminal active radar seeker for better accuracy.The development of the active radar seeker for the cruise missile are in development once developed, it will pave the for development of the anti-ship version of Nirbhay.Nirbhay can be armed with both conventional and the nuclear warhead. 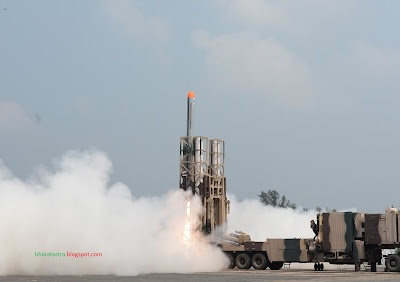 Nirbhay has been tested two times till now by drdo.The first test of the missile was held in 2013 which was a partial success. According to officials of the DRDO , there was a minor fault in the inertial navigation system which causes the missile to deviate from the path.After deviation from the path, drdo triggered the self-destruction mechanism onboard the missile.Apart from failure, the clean separation from the ejector, separation of solid stage booster and deployment of the wing was demonstrated in the first launch.The second test of the missile was taken place in October 2015 which was a copybook success according to the drdo.Missile completes its all designated parameter all the flight path and strikes the target with a very high accuracy.Drdo has claimed than Nirbhay will have a submeter accuracy and will have a range excess of 1200km.